You can add videos, presentations, and other media on social web tools that are not included in the Mashup tools using the embed tool. 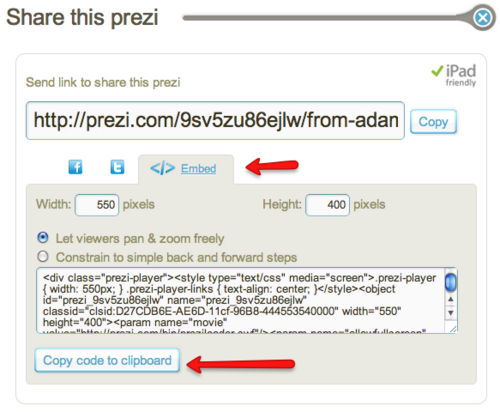 This is an example of where to get the Embed Code from Prezi. Other services such as Vimeo or Sliderocket have similar features. 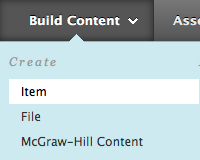 You can embed online media by creating an Item in a content area. This page was last edited on 8 July 2014, at 18:23.